One Eternal Day: Lesser evil? .... Some evidence suggests that Truman also worried that he had blood on his hands. In this, of course, he hardly stood alone among the participants in the enormous, ghastly struggle of World War II. Well over fifty million people lost their lives in that conflict, which descended to new lows of barbarism in both European and Pacific theaters. Restraints that previously had directed soldiers to spare non-combatants were thrown off as the Allies battled to defeat their powerful foes. As a number of writers have noted, a “moral Rubicon” had been crossed long before Hiroshima and Nagasaki. Indiscriminate bombing had become the norm for the Anglo-American forces well before 1945: Churchill and Roosevelt both approved the harsh endeavors to break the morale of their foes, which they hoped would ultimately secure victory and save lives. The devastating Tokyo fire-bombings took place on FDR’s watch, after all. Surprisingly, however, in the moral assessments of the war, Churchill and FDR escape much of the condemnation heaped on Harry Truman for using the atomic bombs. Truman’s critics should refrain from putting him in some singular dock of history. They might instead carefully consider the responsibility of the Japanese government for its people’s fate. In moral terms, the Japanese leadership had a responsibility to surrender by June of 1945, when there existed no reasonable prospect of success and when their civilian population had suffered so greatly. Instead, the neo-samurai who led the Japanese military geared up with true banzai spirit to engage the whole population as combatants of sorts in a national kamikaze campaign. Their stupidity and perfidy in perpetrating and prolonging the war should not be ignored. Of course, the question remains: Was it right? 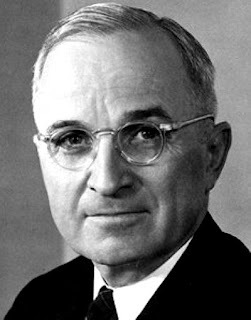 I suggest that, in retrospect and within the privacy of his heart, Truman likely understood that he had been forced by necessity to enter into evil. And so, I argue in my book, he had. He ordered the bombing of cities possessing significant military-industrial value, but in which thousands of noncombatants, among them the innocent elderly and the sick, women and children, were annihilated. Evaluated in isolation, each atomic bombing was a deeply immoral act deserving of condemnation. The fact that the bombings entailed the least harm of the available paths to victory, and that it brought an end to destruction, death, and casualties on an even more massive scale, cannot obviate their evil; it should, however, satisfy those who accept a utilitarian approach to morality, in which good ends can justify certain immoral means. I am not in that number. Yet I remain sympathetic in evaluating Truman and his decision. He was a person who knew that the confusing fog of war sometimes places the policymaker in circumstances where he has neither a clear nor an easy “moral” option. Perhaps Truman had his A-bomb decision in mind when he wrote fifteen years later, in a discourse on decision-making (in his Mr. Citizen), that “sometimes you have a choice of evils, in which case you try to take the course that is likely to bring the least harm.” That is how his decision regarding the atomic bombs should be assessed. I take Jesus' words to St. Peter after he had cut off someone's ear to be paradigmatic in terms of a NT ethic...so I am a pacifist, I've been asked how I would apply that in the context of being a Prison Chaplain. I would defend myself but aim NOT to use lethal force in doing so. But, of course, the issue is seldom one simply of self-defense. What if the issue would be the defense of others?